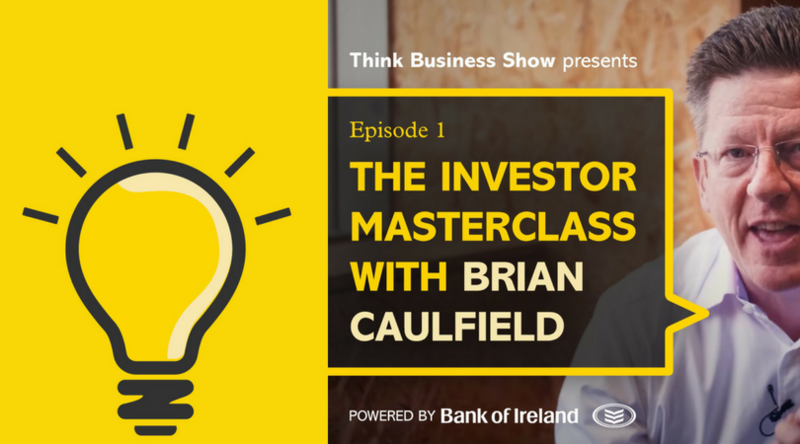 Brian Caulfield, legendary entrepreneur and investor gives a masterclass in growing a business and how to approach investors. The ThinkBusiness Show is a business show with a difference. Instead of talking about what a business does, we talk to founders and experts about the ‘hows’ of doing business – how to start and how to grow. The ThinkBusiness Show is an online academy where people can learn more about starting and running a business. We also discuss the supports available to businesses, raising money, financial well being, building a sustainable business and how to keep going when difficulties arise. First up is Brian Caulfield. Brian is one of Ireland’s ‘legendary’ venture capital investors (VCs). In his podcast and video, he gives a masterclass, not just in what investors look for but how entrepreneurs should approach their business if they want to land investment. This is really a ‘startup masterclass’, a must-listen for anyone with big ambitions to grow with the right investment. SUBSCRIBE TO THE THINKBUSINESS SHOW. LISTEN, WATCH AND LEARN.